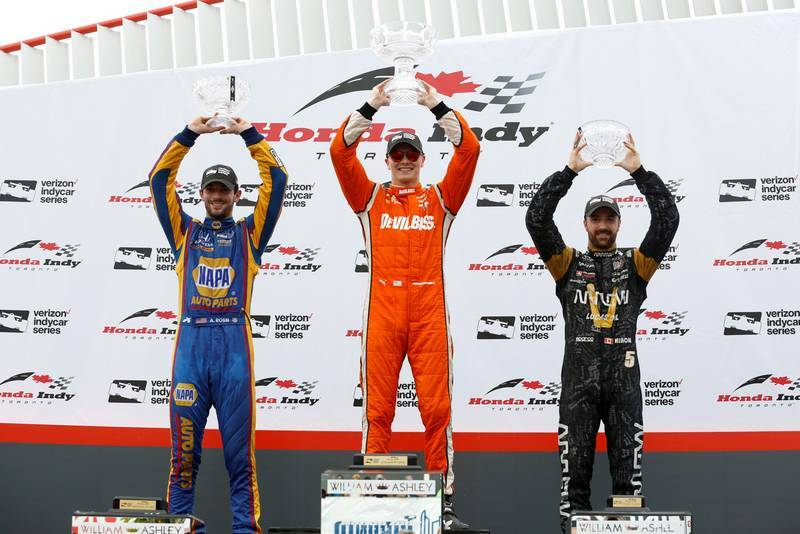 Alexander Rossi stepped on to the second step of the podium after the checkered flags flew at the Honda Indy Toronto Sunday. The weekend full of struggle changed for Rossi and the No. 98 crew when a perfectly timed pit stop was completed just before a yellow flag. 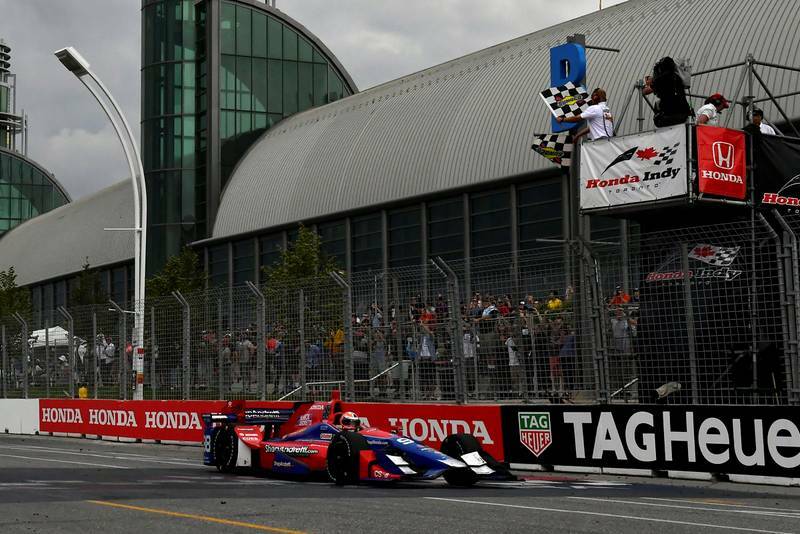 The Honda Indy Toronto started off with the No. 98 car failing to find quick lap times during practice on both Friday and gaining a bit of speed on Saturday. When it came time to qualify, Rossi advanced into Round 2 and just missed the Firestone Fast Six. 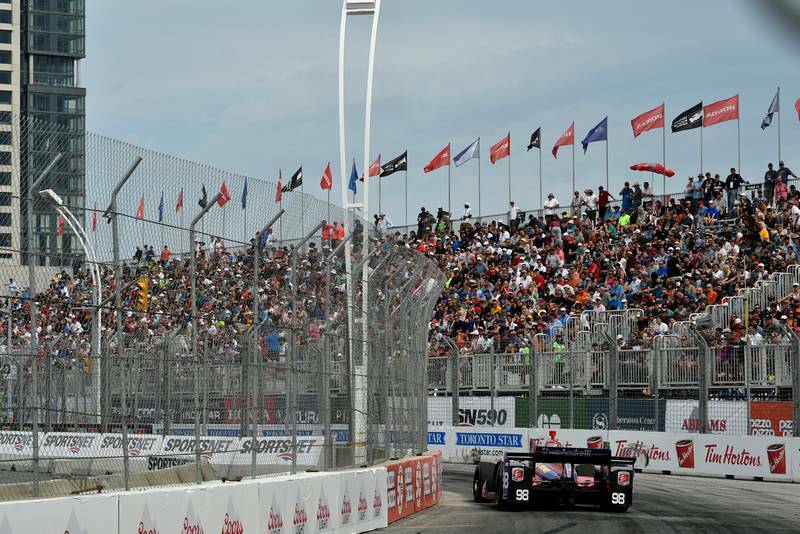 When race day at the Honda Indy Toronto came, the No. 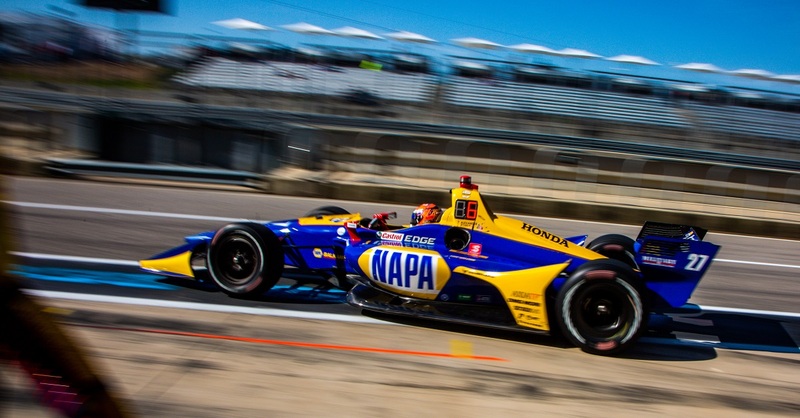 98 car, again, failed to find a fast pace in the morning warm-up session, but the team was determined to give the 2016 Indy 500 winner a fast car for the race – which they accomplished. 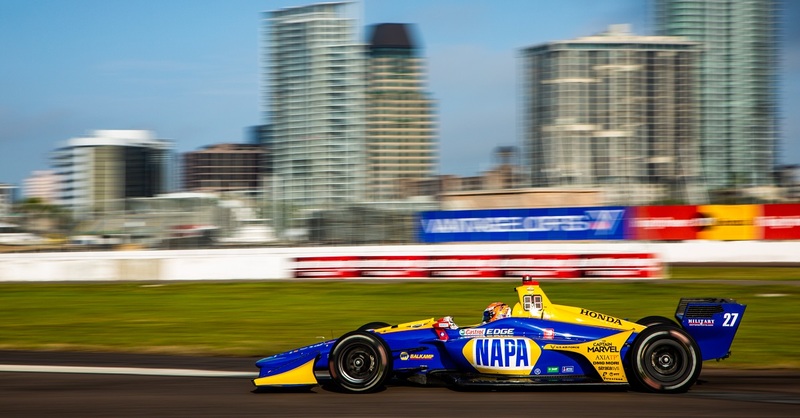 Rossi was running sixth behind James Hinchcliffe and decided to pit to run in clean air and make up time. With a combination of a quick car and strategy, the No. 98 Honda pitted on Lap 21, just two laps before a yellow flag waved. 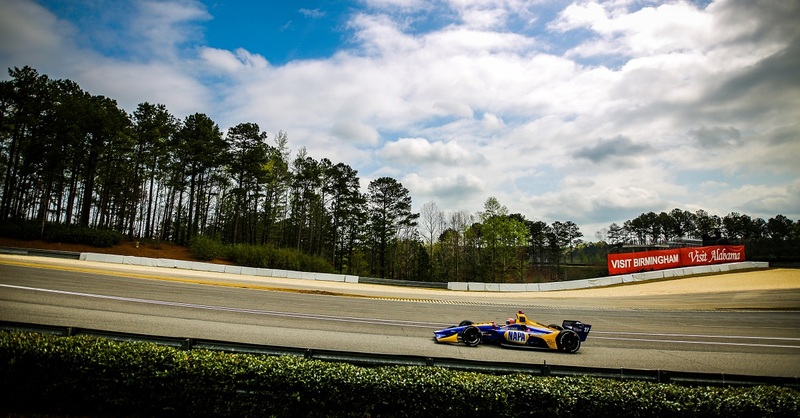 When the checkered flag flew over the 85-lap race, Alexander Rossi crossed the finish line 1.9 seconds behind Josef Newgarden and stepped on to the second step of the podium for his best finish since the 2016 Indianapolis 500. 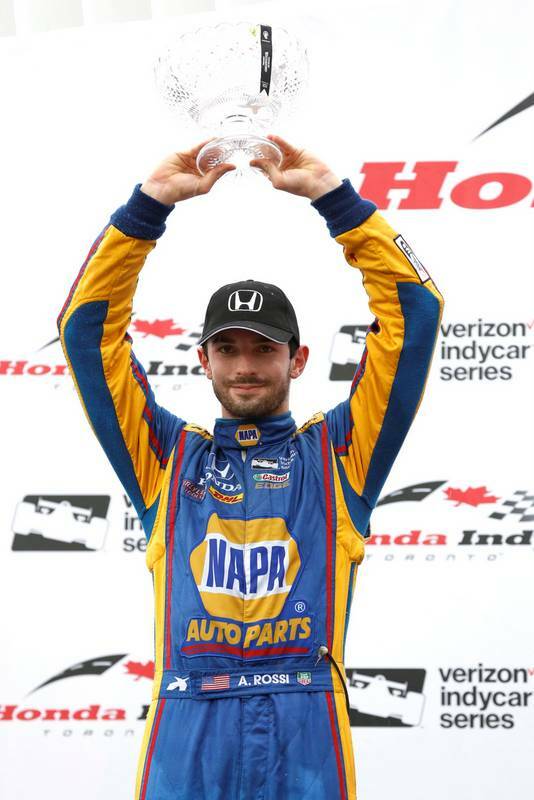 Rossi was followed by Toronto-native James Hinchcliffe in third and teammate Marco Andretti in fourth. Andretti Autosport’s Ryan Hunter-Reay held off Simon Pagenaud for the fifth position until Lap 79 and settled for a sixth-place finish. 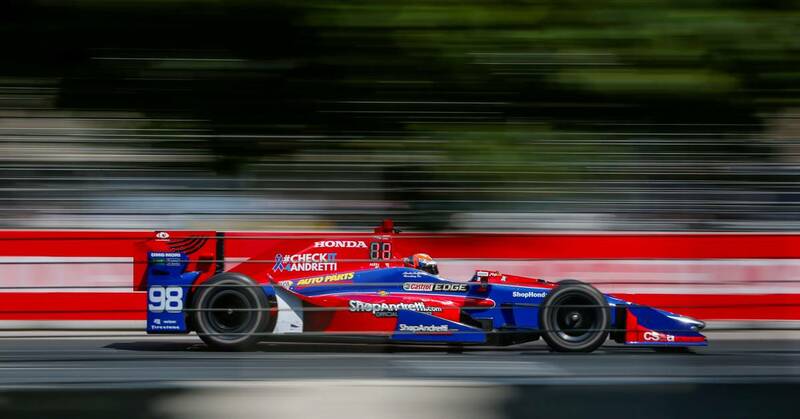 The 2-4-6 finish for Andretti Autosport is one of the team’s best collective race results of the 2017 season. 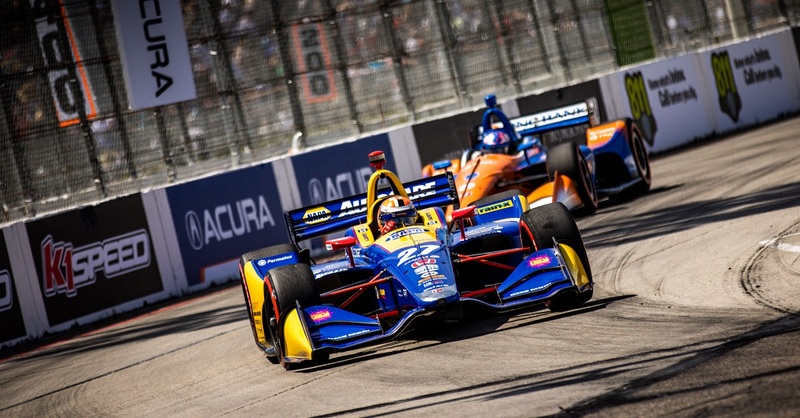 The Verizon IndyCar Series returns to competition in two weeks at Mid-Ohio Sports Car Course for the Honda Indy 200.